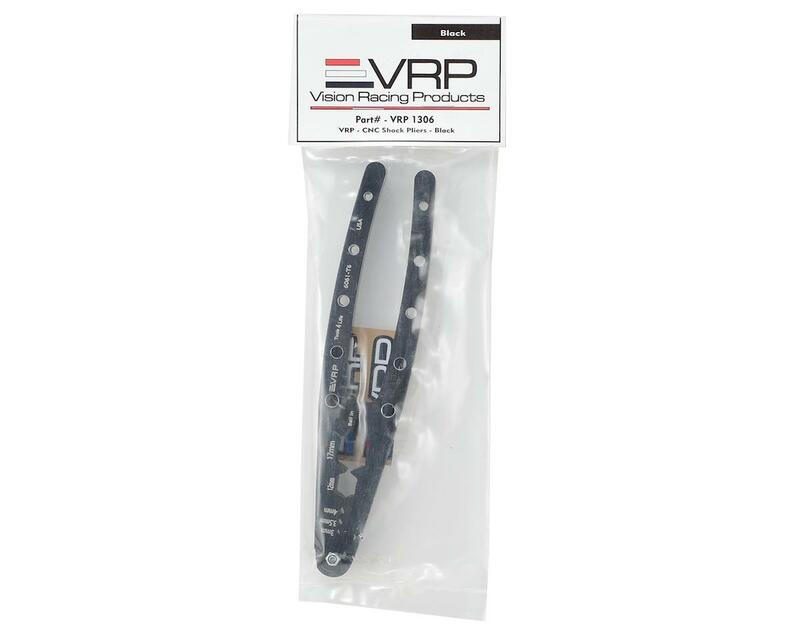 VRP Aluminum Shock Pliers feature slots for 3mm/3.5mm/4mm shock shafts. They also have 12mm and 17mm cutouts for holding the lower part of your shock, as well as a built in flat section for pressing in shock ends or camber link balls. 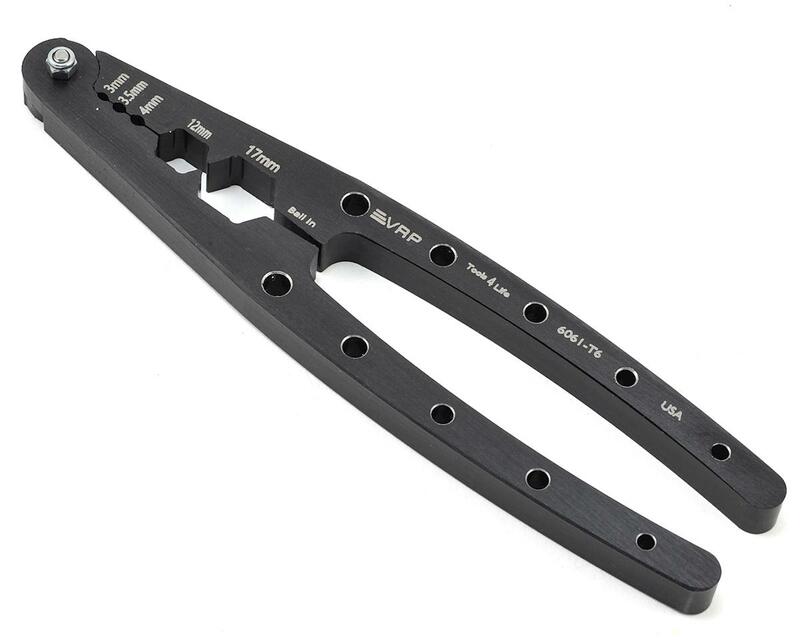 The overall size of these shock pliers makes working on your shocks easier.